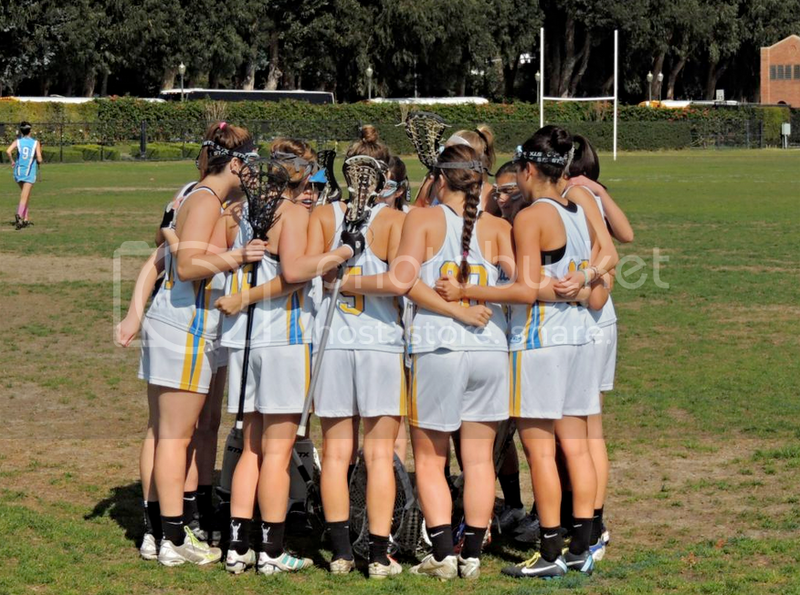 Over the weekend, the Bruins improved to 6-1 overall and 3-1 in the WWLL with wins over University o f San Diego and Cal. UCLA opened up a 5-3 lead in the first 15 minutes of the game versus USD with three goals by freshman Chloe Silance. The Bruins continued to put on the offensive pressure in the first half, stretching the lead to 11-4 at halftime. Free position penalties allowed the Toreros to close the gap, as they netted 7 goals off 8 meter shots in the second half. However, the Bruins closed out the game to finish with an impressive 19-13 win. Ten players had at least one point on the day with Silance contributing 6 points off 4 goals and 2 assists. Fellow freshmen Gretchen Kiep (4 G, 1 A) and Kristin Alexander (4 G, 4 CTO, 4 DC) also had solid individual efforts. Defenders Kira Adsit and Teryn Bence anchored the Bruin defense with 3 ground balls and 1 caused turnover each. On Sunday, the Bruins faced another WWLL opponent in UC Berkeley. UCLA jumped out to a 12-4 lead at the half. The Bruins held the Bears scoreless for the last 18 minutes of the game to win 19-7. UCLA had another strong and balanced showing on the offensive end, as thirteen different players had at least one point, and eight players had at least 2 points. Strong shooting and draw controls helped pace the Bruins as they shot 63.3% on the day (19 for 30) and won 19 of 28 draws. Senior goalie Martine Ehrlich played well in the cage for the Bruins totaling 22 saves on the weekend. The Bruins will travel to Arizona next weekend to face more competition from the WWLL South, with games against Arizona and Arizona State.